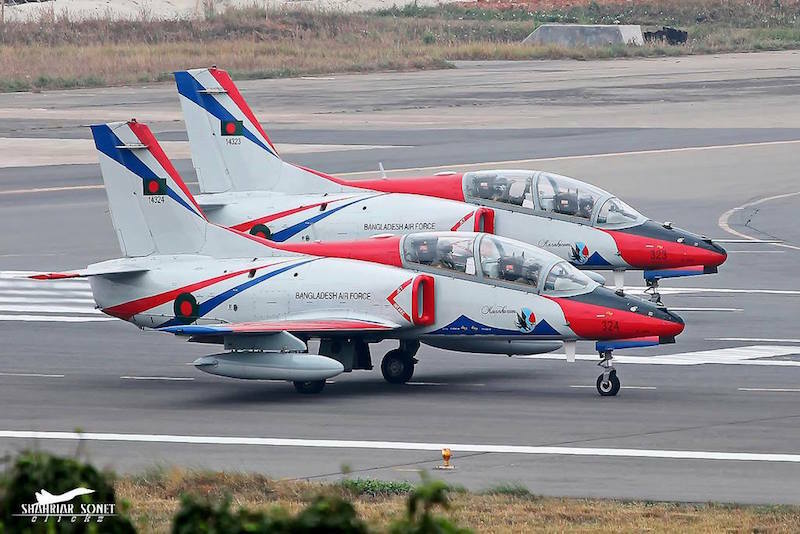 Bangladesh Air Force (BAF) has signed a contract with China for K-8W jet trainer aircraft. Under a [government to government] agreement, the Bangladesh Air Force and China contract signing ceremony for the procurement of K-8W Jet Trainer aircraft was held at Air Headquarters on Wednesday. The contract was signed by Assistant Chief of Air Staff (Plans), Air Vice Marshal M Sanaul and Liu Jianhai, VP of CATIC, on behalf of Bangladesh and China respectively. Chief of Air Staff, Air Marshal Masihuzzaman Serniabat, was present at the signing ceremony. PSOs of Air Headquarters, senior BAF officers, representatives from AFD and MOFA were also present. Ambassador of the People’s Republic of China in Bangladesh, Zhang-Zuo, and president of CATIC also graced the ceremony.